shani jayanti significance, how to worship shani easily, benefits of shani pooja on shani jayanti, astrology of shani. Shani is related with justice and so people fear from Saturn. Shani jayanti is a very special celebration when devotees of shani deva perform special rituals to attract the blessings of shani dev. This day keeps special significance and so people recite shani mantra, do shani abhishek, donate things to help needy, perform hawan. In english shani is known as Saturn and is a hard planet. It is related with property, internal body parts, metals, oil, black color, iron etc. It is believed that shani is the son of lord sun and his wife goddess Chaya. On the auspicious day of shani jayanti we can see mob in shani temples whole the day. As per astrology is Saturn is malefic in horoscope then person suffers from many problems and so it is good to perform special worship on shani jayanti. As per beleif shani dev was born on amavasya of Jyestha month as per hindu panchang and so every year on this day devotees celebrate the birthday of shani deva with great joy. This year shani jayanti is falling on 25th May 2017, Saturday and tithi is amavasya, Nakshatra will be Kritika, so the day is very important for the people who want to please shani deva. If saturn is malefic or debilitated in horoscope then don't miss this day to perform rituals. If any one is affected by evil eye effects then also on this day rituals are possible to getrid of black magic and evil eye effects. If any one want to attract blessing of shani then also shani jayanti is a good day. 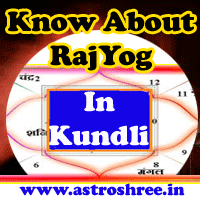 If there is pitra dosha in kundli then also don't miss this day because amavasya is there. Good yogas are there which can enhance the power of pooja on this day. Get up early in the morning and maintain celebacy whole the day. If health is ok then take a bow to keep fast whole the day and pass whole the day in praying. Keep idol of shani deva in front of you and Offer deepak, dhoop, bhoga, dakshina as per capacity. Do the abhishek with panchamrit. You can also perform oil abhishek by chanting any shani mantra. Recite shani chalisa or shani strotram etc. Pray for hurdle free life. Donate necessary things to needy. Feed if you find any hungry human or pets. Try to chant shani mantra whole the day. Shani jayanti is very important in India and no doubt devotees get the results of there devoted prayers and so for decades rituals are going on.